Still Waiting On Your Burn Injury Settlement? 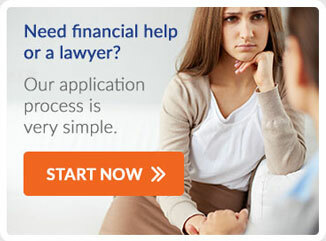 Need pre settlement funding on a Burn Injury Settlement? The American Burn Association estimates that 450,000 burn victims received medical treatment in 2013. They further estimate that 40,000 hospitalizations were required for burn injuries, with over 30,000 of these hospitalizations taking place in burn centers. Not all burn injuries require a hospital visit, and fewer still require a hospital stay. Many burns are simply first-degree, minor burns that only affect that first layer of a person’s skin. This might be the type of burn you get while cooking. Second-degree burns are where things start to get more serious. They’re still superficial but instead of just affecting the outer layer of skin, they also affect the second layer of skin underneath. Humans have just three major layers of skin, therefore a third-degree burn (which affects all three of these layers) is the most serious. These burns will always need medical attention and may even require hospitalization. Depending on the severity of a third-degree burn, the underlying tissue below the skin may also have been burned. In some cases, once your burn is treated you may be able to recover without any surgical intervention. Many individuals who suffer third-degree burns find that they must have a skin graft in order to begin the recovery process. Even with the graft, they may be permanently scarred and, in the most severe cases, disfigured by the burn they suffered. If you’ve gotten a serious burn that was the fault of an irresponsible business owner, a product manufacturing flaw, or other negligence then you may be entitled to recover the damages you suffered as well as some income for future lost wages, pain, and suffering. At Pravati Capital, we have a wide network of attorneys who can review your case and help you get the funds you deserve. We can also provide financing that allows you to get the surgery and other ongoing medical treatment and physical therapy you need even before your case is settled. Contact us today to see all the ways in which we can help. Do You Need Lawsuit Financing For A Burn Injury Settlement? If you believe that you experienced a Burn Injury, contact Pravati Legal Funding today.